The Samsung Galaxy S4 currently is available in two colors, black and white, and we recently saw the Android flagship in Arctic Blue. But if you're looking to customize a wide variety of colors allowing your phone to look just the way you want it, you might want to check out ColorWare. 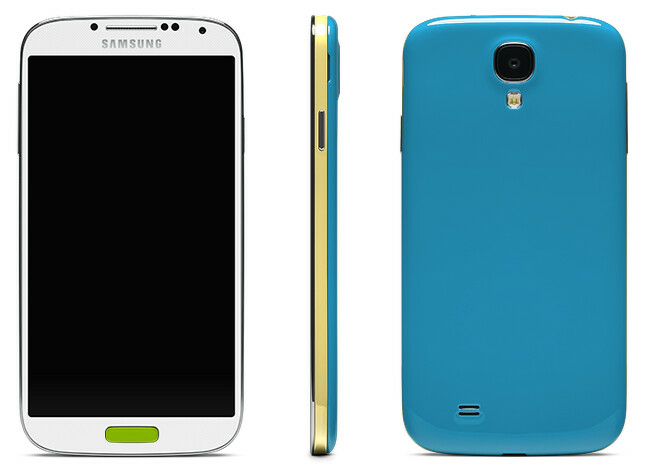 For $1000, you can make your own customized Galaxy S4 choosing from 46 colors, both solid and metallic. The beauty of the ColorWare website is that it allows you to see exactly what your phone will look like before you order it. You can even choose from a matte or glossy finish. So why does it cost so much? According to the company, "The product goes through a laborious process of disassembly, cleaning, masking, painting, and inspection. Then, the product is buffed and reassembled. The product goes through final inspection and then is packaged into the original packaging." The unit that you are buying is a GSM unlocked model and ships in 14 days. Sure, $1,000 is a lot of money, but at that price you are creating a version of the Samsung Galaxy S4 that no one else around you should have. And if ColorWare is asking for more than you want to spend, you should still check out the website for no other reason than to play with the wide selection of colors just to see how they look on the phone. You can head over to ColorWare's site by clicking on the sourcelink. Winona, MN – 6/7/2013 - Recognized for their excellence in customizing high-end electronics, ColorWare debuts the new Galaxy S 4. With quick and powerful processing speeds, a five inch Super AMOLED display, touch-less features, and a built in IR blaster to function as a TV remote, the Samsung Galaxy S 4 is changing the way consumers interact with smartphones. The newly engineered touch-less features are used to answer phone calls, flip through photos, or preview emails with a simple wave of the hand. Additionally, the innovative camera captures progressive motion and removes unwanted people from pictures. In the ColorWare design studio, there are 46 paint colors to choose from including, solid and metallic, as well as matte and gloss finishes. There are three customizable elements on the Galaxy S4,which provide extensive options for creating a one-of-a-kind smartphone. 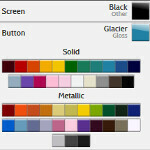 Once colors have been chosen and an order has been placed, the customization process begins. The product goes through a laborious process of disassembly, cleaning, masking, painting, and inspection. Then, the product is buffed and reassembled. The product goes through final inspection and then is packaged into the original packaging. ColorWare is currently offering the International GSMunlocked, black version of the Galaxy S4.The product including customization is $1000 and ships in about 14days. ColorWare was founded on the idea that electronic devices could be more appealing than the standard colors offered by the original manufacturer. ColorWare products are creative and fashionable, giving their customers something unique. ColorWare is the only company in the world where you can create your own bespoke electronic device. The range of products spans from headphones to computers, tablets, phones, and gaming consoles. For more information please visit http://www.colorware.com. wooh! $1000. sounds cool but thats like buying unlocked iphone 5. They should release a service for people who already bought the device, they would send in the device pay a certain fee and have it painted. I know they have that service for beats by dre studios so hopefully they will. Though that'll still be at least $300. Everything else is fine just $1000 is too much. lol, that ain't worth 100$. $1,000... so about $400+++++++ for the paint job? Sounds ... almost normal. Still, wouldn't pay that much. Clearly aimed at those with more money than sense. Is it April 1st? Duh, $1000... is just stupidity. why not just buy a colorful case for like 10-15 bucks?